The sentiment turned quite positive in financial markets in the last two weeks after taking a dive at the end of March due to deteriorating manufacturing data from the Eurozone, as well as the fact that almost all major central banks shifted from hawkish to dovish or neutral. But, in the last two weeks we saw some green shots in the economic data; the services sector in the Eurozone turned to expansion again and so did the manufacturing sector in China, which eased worries of a global recession. As a result, risk assets such as stock markets and risk currencies have been climbing higher, while safe havens such as the JPY and the CHF have been declining, and hence the bullish reversal in EUR/CHF and in USD/JPY. Although today, it seems like the risk-on sentiment has faded as commodity currencies are lower while the JPY is a tad higher. But, it’s not that there’s much action today in financial markets.. The economic data is very light today and markets don’t have a reason to run in either direction. Although, they might be on hold now as the confrontation between Donald Trump and the EU increases. Last week, the EU promised to retaliate if Trump place tariffs on European goods, but today we heard rumours that the EU will start trade negotiations with the US. 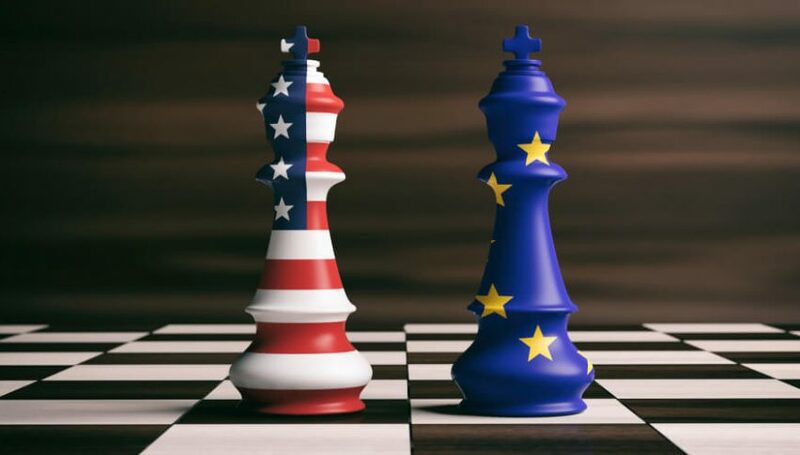 EU Trade Commissioner Celia Malmstrom said that the EU is ready to start talks with the US but if the US places more tariffs, the EU will retaliate and publish a list of US goods/services on April 17. So, traders are a bit confused now and waiting on the sidelines just in case another trade war starts. Swiss PPI Inflation – The producer price index (PPI) turned negative at the end of last year and declined during November, December and January this year as Crude Oil prices lost more than a third of their value during the end of 2018. Although, Oil prices have been climbing since the beginning of this year and the increase is having an effect on the producer prices already. PPI indicator showed a 0.2% increase in February when expectations were for another decline and today’s report was expected to show another 0.2% increase in prices. But, the actual reading beat expectations, coming at 0.3%. Brexit Talk – UK Foreign Secretary Jeremy Hunt was speaking this morning, saying that talks with the Labour Party are more constructive and detailed than people expect. We hope they reach an agreement to push further with Brexit or with another referendum/general elections soon. UK PM spokesman James Slack also added that there is no fixed end date for Brexit talks with Labour. Government talks with Labour are ongoing. At the same time, there’s a continuing dialogue with DUP as well as no-deal Brexit preparations continuing. ONS Spots the Q1 Economic Activity in UK – The Office for National Statistics in the UK has spotted mixed economic numbers for Q1. They said today that faster economic activity indicator hints at a mixed picture for UK’s Q1 performance. But they should know that this is due to stockpiling ahead of a disruptive no-deal Brexit. This will come back to bite the economy in the coming months as firms will use the stocks and inventories they have built up during Q1 in the coming quarters. EU Plays the Cards with Trump – Donald Trump threatened tariffs on $11 billion EU produced goods, apparently because the EU subsidizes Airbus. But, that comes only after the Boeing crash. However, the EU is ready to start talks now as the Trade Commissioner Malmstron said. But they are ready to retaliate as well if the US slams more tariffs on Europe, as Steel and Aluminium tariffs are still in place. They will publish a list of US products to be targeted if the US continues with additional tariffs. US Empire State Manufacturing Index – This manufacturing index has been on a declining trend in the US since August last year when it peaked at 25.6 points. Although, we saw a jump to 8.8 points in February after bottoming at 3.9 points in January. But in March, this indicator declined again making new lows at 3.7 points, although it was expected to increase to 8.1 points this month. It increased further to 10.1 points which is a positive sign for manufacturing in the US. Citigroup and Goldman Sachs Earnings – This is the period when large corporations release their earnings reports. We saw some reports late last week and today Citigroup and Goldman Sachs released their earnings reports which you can find below. They are pretty similar and lean towards the positive side as earnings-per-share increase. FOMC Member Evans Speaks – The Chicago FED President Charles Evans is due to speak in a television appearance on CNBC’s Squawk Box and later he is speaking about the economy and monetary policy at the New York Association for Business Economics luncheon. Audience questions are expected, so it will be interesting to watch. Last Friday we went long on USD/CAD as this pair was declining on some USD weakness towards the end of the week. The price was close to the 200 SMA (purple) which had been providing support for two weeks and the H4 chart was oversold. Today, the 200 SMA continues to provide support and the stochastic indicator is still oversold on the H4 chart. So, let’s hope for a bounce from here. The sentiment has been mostly dull today during the first two trading sessions and, as a result, the price action has been very slow. But, we are seeing a move right now as risk assets start to increase as the sentiment starts to improve. This probably has to do with the better-than-expected figures from the earnings reports of Goldman Sachs and Citigroup that we highlighted above as well as the reverse in the Empire State manufacturing index, although it’s too little and too early to tell.